Under a fog alert from the weather service, 2018 Riverfest racers of all ages and abilities began to congregate in the vicinity of the BNA Bank River Run course early Saturday morning. There were three races to choose from, a kids’ race (accompanied by adult), a 1 mile race for 12 and under and the 5K . Despite weather alerts, the morning was cool, crisp and clear before race time. Upwards of 200 folks took place in all of the races, many of them just out to enjoy a fun day with their kids. But the BNA River Run 5K is a popular event with 5K racers, and they were (mostly) serious runners. Most racers were from Mississippi, of course, but Tennessee and Florida were also represented. Racers wore a BIB Number on the front of their shirts, as a function of the Bib Tag System used to time the race. Awards were given three deep in the 5K to Overall Male, Overall Female, Master, Grand Master categories, as well as in each age group. The Magnolia Civic Center was the venue of a 2018 Riverfest event that was new to the festival this year. 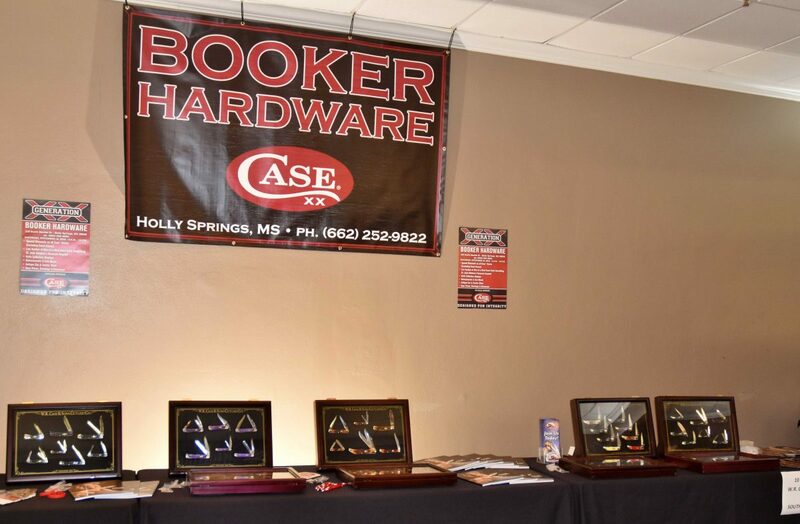 W.R. Case & Sons Cutlery Company of Bradford, PA, in partnership with the North Mississippi Knife Collectors Club and the New Albany Main Street Association present a knife show and sale. Case designed and produced limited quantities of two special collectors’ knives for the occasion. One of the knives features Shelby Lowery, Case Ambassador and president of the North Mississippi Knife Collectors Club. A Case employee told NAnewsweb that they expected to sell out of both special knives, on a first come, first served basis. The Case show was well-organized and rather astonishing in the quantity of different knives on display.